The first snow this winter came today. It is still a bit too warm for it to last, but winter has certainly arrived. This entry was posted in BaseWord, HomeBase, PhotoBase on 1 December, 2012 by Erik. Okay, the snow did not just disappear as soon as I had expected. 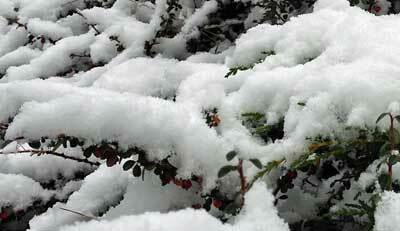 The first snow did melt, but new snow has fallen and temperatures are low. It is winter in Denmark.